Our contract growing service offers our clients the opportunity develop their current growing supply base to strengthen their own geographical spread without the need for management input. We offer a complete service from sourcing the suitable land for vegetable production and ensuring that all field activities from land cultivations to harvest are carried out. Our expertise over the years has enabled us to use the best contractors and field agronomists to ensure that crops are grown to the highest possible standards achieving optimum yield and quality. Adhering to customer growing protocols and specifications ensure that all crops produced meet and exceed customer expectations. Weekly crop reports are generated to highlight crop progress and detail the climatic conditions from strategically placed weather stations. The advantages of contact growing within Lancashire can offer new opportunities and improve the access to local markets with regional sourcing. We specialise in the production of root vegetables focussing on Potatoes, Carrots & Beetroot production using either sandy loam or peat/moss land depending on final customer requirements and harvest dates. We have an extensive client base for land rentals and can offer clients a range of opportunities for most cropping. We offer our clients consultancy projects combined with personnel training to ensure that they remain at the forefront of the industry. New product development is an integral part of our business and using our skills and experience we can deliver new and exciting products and varieties. Our consultancy focuses on line processing efficiencies to ensure that customers remain profitable. Adjustments in the process may improve product quality and ultimately provide the client with a more streamlined and efficient business. We believe that our practical approach to develop our clients is of paramount importance. Our ability to integrate fully into the business and monitor the changes ensures profitable results. We are extremely active within the Industry to drive any change forward which we know will benefit the our clients business. We are committed to the highest standards within the industry whether this is advising on field production or processing. We embrace industry code of practises and encourage our clients to early adopt in order that they differentiate and excel. 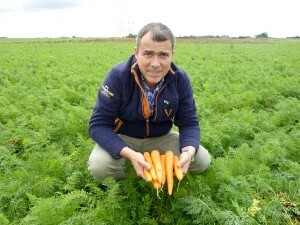 Our business encompasses all fresh produce and provides a full service from ‘field to fork’. Our diverse range of work ensures that we can offer our clients professional advice, support and training from agronomy to NPD work. Using our own in house team of experienced advisors we also have access to a range of external support which ensures that we can undertake most projects. In recent years we have undertaken many turn key projects from conception to full production. Our experience has highlighted key strategic partners in the UK and across Europe to provide the best and proven technology which ensures the latest technology and innovation is applied to every process. Our service is extremely unique as we take extreme pride from the very beginning. Crop planning, field selection, rotations, growing. harvesting are all integral parts of production however we firmly believe that is is essential to control the second phase from handling, washing, peeling and processing. When all processes are brought together and managed correctly the results are usually industry leading.